The REAL ICE firmware is NOT your application firmware. This is the code that is loaded into the REAL ICE that modifies its functionality for the project's selected device. 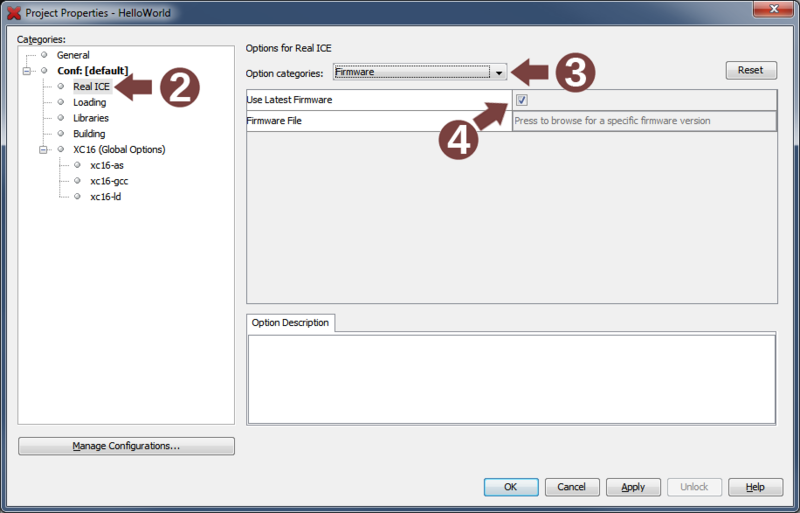 Select 'REAL ICE' under Categories. To update the firmware version, be sure to click Apply and OK. Then click the Refresh Debug Tool Status icon in the Dashboard window. MPLAB X IDE automatically downloads the correct firmware for your selected device. Only change this setting if you are having issues. See Emulator Firmware Update.